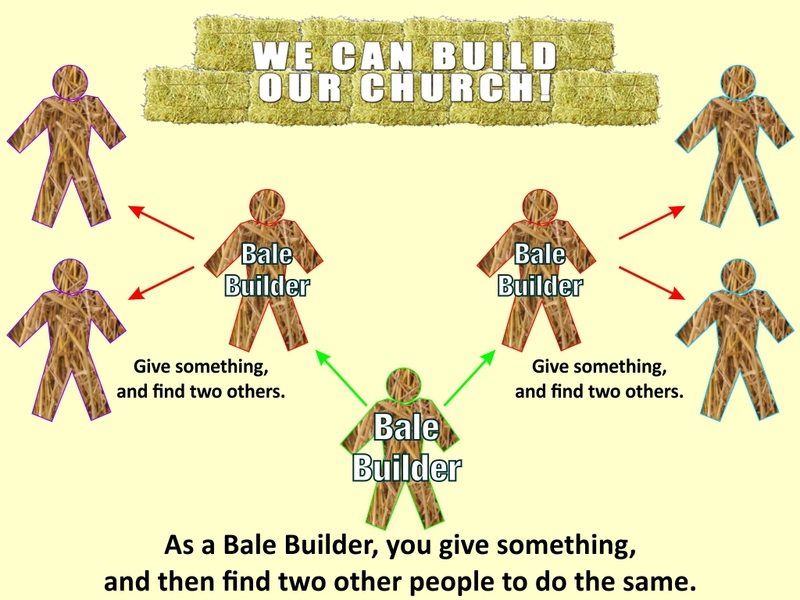 Becoming a Bale-Builder for Holy Trinity’s Neighbourhood Hub couldn’t be simpler. The cost of a delivered bale of straw is about £4.00 and to cover the total cost of our building we need the equivalent of about 95,000 of them! To be a Bale-Builder, just decide how many bales you can contribute – it may be 3, 10, 30, 100, or even 1000. You can decide on any number. Multiply that number by 4, and that will be your contribution in £s. Next, actually give the money. If it is a small amount you could donate by text. Otherwise, our preferred method is a direct bank transfer: details are here. If you want to give by card, you can do that through our Bmycharity page – though we have to pay a small commission for that. Finally, find two other people you can persuade to also support the project. You might even get them to find another two people each! It might help if you give them one of our leaflets, which you can download here. Once we’ve got most of our target fund of £380,000 we can start building. At that point you’ll be able to actually join us on site, get training, and be a hands-on bale-builder! Previous PostBale-Building Leaflet PublishedNext PostChurch & Community Fund pledge £15,000!